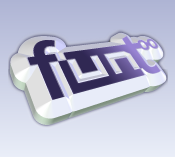 Funtoo Linux, a Gentoo Linux variant created by Daniel Robbins. Funtoo Linux is a variant of Gentoo Linux created by Daniel Robbins, the creator of Gentoo Linux. This image is FREE to use and supported by a true Open Source community. This Amazon EC2 image is optimized for Amazon EC2 "t2" instances, such as t2.micro and t2.xlarge, by taking advantage of the full CPU instruction set provided by these instance types (Intel Haswell, AES, AVX, AVX2, FMA3, SSE4.1 and SSE4.2 instructions among others). By using this AMI, you will be able to take advantage of the full Gentoo software ecosystem of over 10,000 free software packages while ensuring that your software stack is running with the best possible performance on "t2" instances. Please check out our optimized builds for other instance types, coming soon. An up-to-date Debian 4.9.130 LTS kernel is provided for production use with all necessary Spectre and Meltdown mitigations. The underlying root filesystem will auto-resize to the size of your underlying EBS volume as part of its initial boot process. To use this EC2 image, ssh in as ec2-user@IP, at which point you can "sudo su" for root access. Type "ego sync" as root to download Funtoo's meta-repository, at which point you can use "emerge" like in Gentoo to emerge your favorite software. Visit us at https://www.funtoo.org for more information and to become a part of the Funtoo community, and visit us at https://breezyops.com for commercial support. Gentoo-based operating system from the creator of Gentoo. Optimized specifically for Amazon EC2 "t2" instance types.